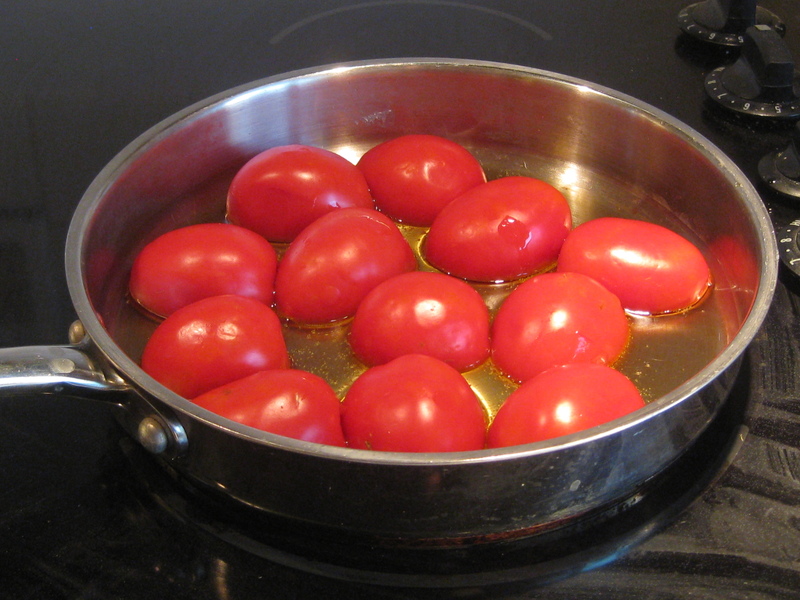 Put olive oil in a skillet over medium heat. 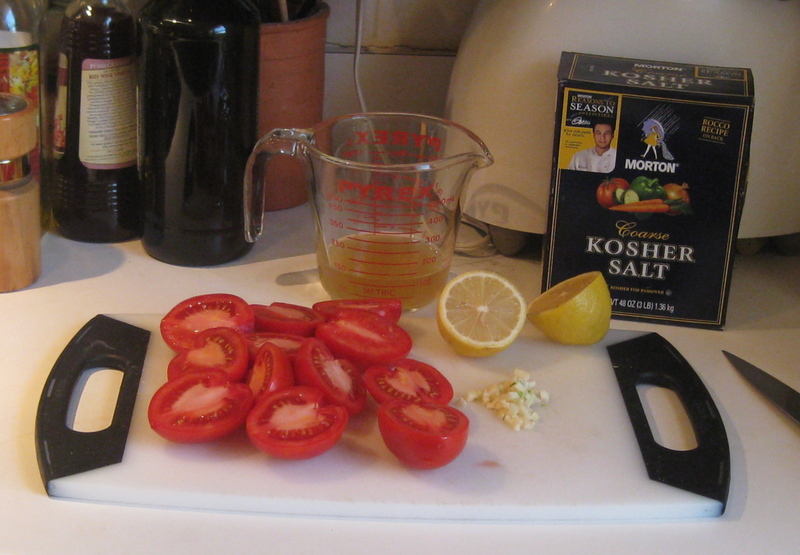 Once the oil begins to shimmer add tomatoes cut side down. 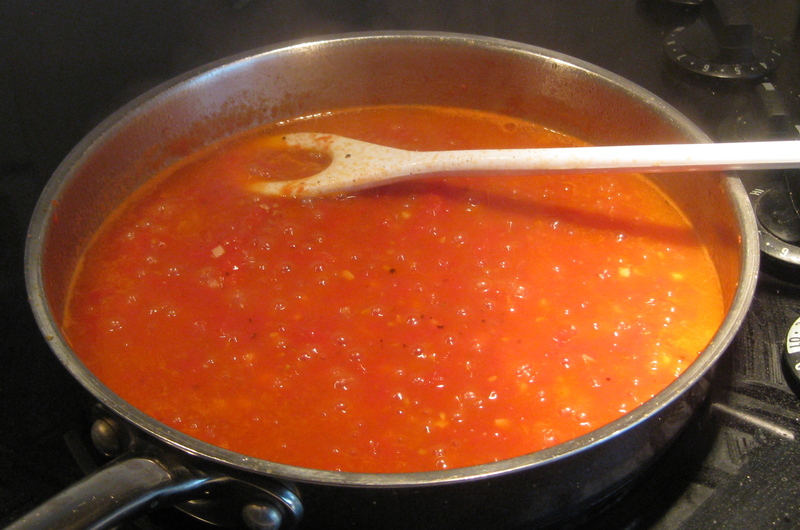 Cover and cook until the skins loosen, shaking the skillet occasionally to keep the tomatoes from sticking. This should take about five minutes. Use a fork to lift off and discard tomato skins. 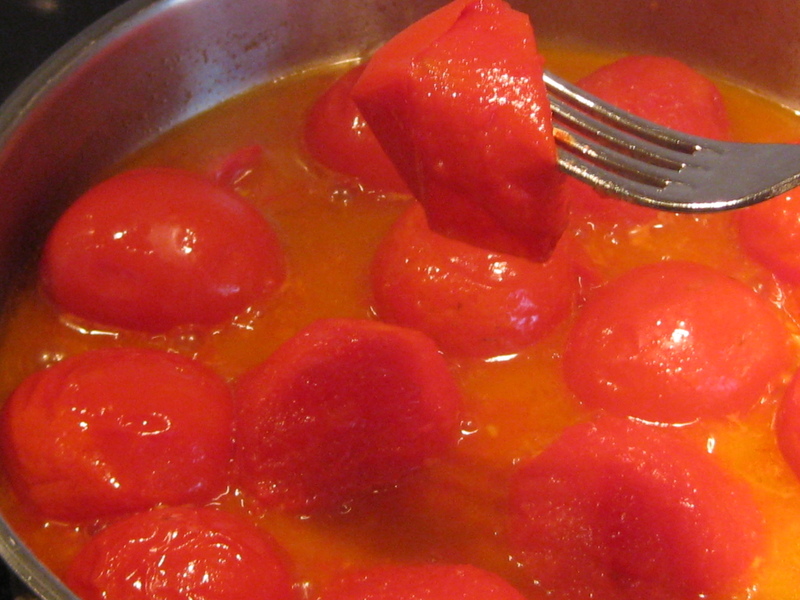 Then use the fork to mash the tomatoes. Add garlic, lemon juice, stock, and salt and pepper. 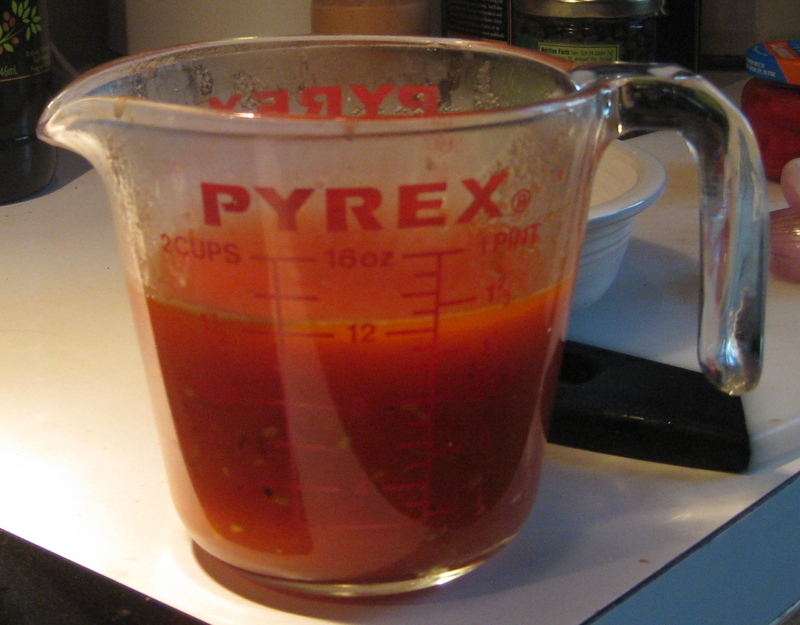 Raise heat to a low boil and stir until the sauce thickens. Total cooking time should be under 20 minutes.